8. עֲשָׂרָה שַׁלִּיטִים שֶׁאָמַרְנוּ הֵם עֶשֶׂר אֲמִירוֹת לְמַטָּה, בְּסוֹד (בְּסוֹד עֲשָּׂרָה שַׁלִּיטִים מְמֻנִּים שֶׁאָמַרְנוּ, אֵלּוּ מְמֻנִּים לְמַטָּה בְּסוֹד) שֶׁל הָאוֹתִיּוֹת הָרְשׁוּמוֹת כְּמוֹ שֶׁלְּמַעְלָה, וְאֵלֶּה עוֹמְדִים בָּרִאשׁוֹנָה עַל אוֹתָהּ זְקִיפַת אֶצְבָּעוֹת, וּבָזֶה נֶאֱחָז לְמַעְלָה כָּל צַד הַקְּדֻשָּׁה לְהָרִים, אָז כָּל הַצְּדָדִים הָאֲחֵרִים כֻּלָּם מִתְכּוֹפְפִים וּמוֹדִים לַמֶּלֶךְ הַקָּדוֹשׁ. 9. בֹּא וּרְאֵה, בְּסוֹד שֶׁל קְדֻשָּׁה (שֶׁל הַשֵּׁם הַקָּדוֹשׁ) הוּא מֶלֶךְ וְכֹהֵן וּמְשַׁמֵּשׁ תַּחְתָּו (בְּסוֹד שֶׁל קְדֻשָּׁה), בֵּין לְמַעְלָה בֵּין לְמַטָּה. יֵשׁ מֶלֶךְ לְמַעְלָה, שֶׁהוּא סוֹד שֶׁל קֹדֶשׁ הַקֳּדָשִׁים, וְהוּא מֶלֶךְ עֶלְיוֹן, וְתַחְתָּיו יֵשׁ כֹּהֵן, סוֹד שֶׁל אוֹר רִאשׁוֹן, שֶׁמְּשַׁמֵּשׁ לְפָנָיו, וְזֶהוּ כֹּהֵן שֶׁנִּקְרָא גָּדוֹל, צַד הַיָּמִין. 10. יֵשׁ מֶלֶךְ לְמַטָּה שֶׁהוּא כְּמוֹ אוֹתוֹ מֶלֶךְ עֶלְיוֹן, וְהוּא מֶלֶךְ עַל הַכֹּל שֶׁלְּמַטָּה, וְתַחְתָּיו יֵשׁ כֹּהֵן שֶׁמְּשַׁמֵּשׁ אוֹתוֹ, סוֹד שֶׁל מִיכָאֵל כֹּהֵן גָּדוֹל, שֶׁהוּא לְיָמִין, (וַדַּאי בְּצַד הַקְּדֻשָּׁה יֵשׁ מֶלֶךְ וְכֹהֵן) וְזֶהוּ סוֹד הָאֱמוּנָה הַשְּׁלֵמָה, צַד הַקְּדֻשָּׁה. 11. בַּצַּד הָאַחֵר, שֶׁאֵינוֹ צַד הַקְּדֻשָּׁה, יֵשׁ סוֹד שֶׁהוּא מֶלֶךְ, וַהֲרֵי בֵּאַרְנוּ שֶׁנִּקְרָא מֶלֶךְ זָקֵן וּכְסִיל, וְתַחְתָּיו יֵשׁ כֹּהֵן אוֹן, וְזֶהוּ סוֹד הַכָּתוּב (הושע יב) וַיֹּאמֶר אֶפְרַיִם אַךְ עָשַׁרְתִּי מָצָאתִי אוֹן לִי. מִשּׁוּם שֶׁכֹּחַ זֶה שׁוֹלֵט עַל אוֹתוֹ מַעֲשֶׂה שֶׁעָשָׂה יָרָבְעָם. וְאִלְמָלֵא שֶׁנִּמְצָא כֹּחַ זֶה, לֹא יָכֹל לְהַצְלִיחַ בְּאוֹתוֹ מַעֲשֶׂה. This commandment is to make us understand that our minds have no ability to form any kind of image related to God and the spiritual system. The divine forces have no shapes or forms that we can grasp. We are created beings ‘trapped’ in physical bodies and in existence that can be connected with five limited senses. Before Rabbi Shimon taught his students deep spiritual concepts, he reminded them of this commandment. He cursed those who tried to create an image of God or the spiritual forces because with that action they create limitation in the way the Light is expressed in the lower worlds. Our mind is at the level of Keter and whatever we process in it makes impact when it comes down through words or actions. God gave us the Torah with the most puzzling stories of the entire Bible. The purpose of using concealed and confusing stories is to give us the opportunity to study the Torah to its depth and reveal the conscealed light. 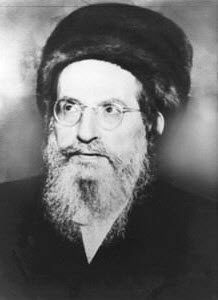 Rabbi Shimon and great Kabbalists after him opened many gates of understanding and light for us. The famous drawing of the Tree of life does not reflect the shape of the spiritual system but demonstrates the flow of energies from one state to another. An Atom is governed by the 10 Sefirot and Tree of Life system, what we see or measure is just the level of Malchut but all the upper 9 Sefirot is part of the process that causes this Atom to be what it is. Follow this important advice by keeping God’s image as simple as possible. He is not an entity that may resemble an earthly shape. God is everything and everywhere around us and there is nothing but him. Any kind of description is limited and forbidden. What the Zohar and Kabbalah does is just teaches us the attributes of God and the way his forces are expressed in this world. We are not allowed even to pronounce the higher name of God, which is יהוה YHVH. Alternatively we use the lower name אדני ADNY. The reason for that is that the higher name conceals great light and if we try to pronounce it we give it a shape in a form of a sound. Similarly, the Torah scroll is written without any breaks of chapters, verses or Nikkud (vowels) because at the root level the Torah has no limitation in revealing energy. The Torah reader on Shabbat must read every word accurately in order to reveal the proper energy related to that Shabbat. The great Light exists in the silent spaces of the Torah and the eyes that see the letters. Have the YHVH name in front of you and connect to it with your eyes. We are all ordered to scan the name of God even if we are Hebrew scholars and teachers. When you scan the sacred Zohar text have this commandment and its deep meaning in your mind to maximize your connection to the light beyond. Below are different forms of the YHVH name that reveals different aspects of higher Light. You may print it but you must keep is sacred. Once printed you can not dispose or recicle the paper. Keep it in a book or give it to a synagogue or a place that offers proper disposable of ‘names’. Women in their monthly cycle should not touch the paper but can scan with the eyes. The names are for view only. They are not idols to worship but for us a channel of understanding that they can channel light if we are pure and have the vessel for it.